New from Green Dolphin Street Media! Comedian Paul Anger isn&apos;t feeling very funny lately. In fact, he&apos;s feeling downright suicidal. Grieving the loss of the most important person in his life, his career in tatters, and suffering from a case of the terminal shakes, Paul is thoroughly disgusted with life, himself, food, TV, cell phones, music, words, love, psychotherapy, porcupines, authenticity, house plants, politics, hope, the news, old money, exurbia, neighbors....you name it and Paul hates it. Then, just when all seems lost, fate throws him a lifeline in the form of a leash, at the other end of which is a dog named Rosy. Obliged to keep a journal by his court-appointed therapist (a.k.a. "That Prepubescent Twerp," "That Pimple-popping Smurf," and a few other choice epithets), Paul, assisted by Rosy, reluctantly embarks on a journey of self-discovery which he faithfully records, and which now, thanks to the miracle of digital publishing, anybody with a few bucks to spare can eavesdrop on in The Rosy Chronicle. 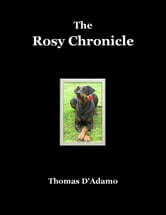 But be forewarned, if you&apos;re looking for another Marley & Me, this book is NOT for you. 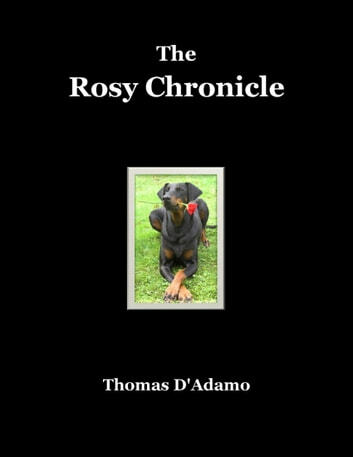 Dark, irreverent, and fairly raunchy at times, The Rosy Chronicle will appeal to fans of author Thomas Bernhard and comedian Louis C.K. A longtime denizen of New York’s Lower East Side, Thomas D’Adamo now lives in the woods by Wissahickon Creek with Veronica, his beloved Conn 10M “Lady Face” tenor sax. His stories, poems and reviews have appeared in The Brooklyn Rail, Bookforum, and other publications. His other books include the critically acclaimed Big, Big Love: The Amazing True Story of Bob Friendly, America&apos;s Most Beloved Motivational Figure, and Killing Jackson Hardon, A Novel, both available from Green Dolphin Street Media.